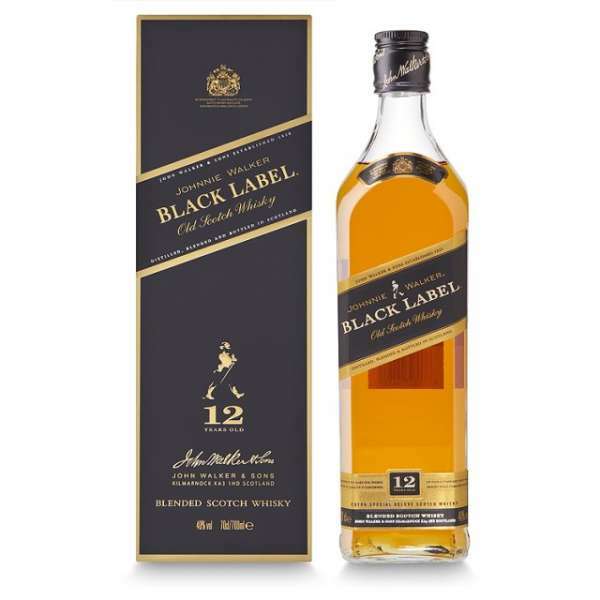 Johnnie Walker Black Label Old Scotch Whisky 70cl The colour black has always been associated with style and elegance. The little black dress is always a sophisticated choice whereas the traditional tux can transform any man's appearance. But black is also intriguing. It has a hint of mystery of something waiting to be revealed. This is Johnnie Walker Black Label - a deep and complex flavour which is also an unquestionable mark of power and refinement. It is a luxury blend and a luxury brand with a completely individual personality. As many as 40 whiskies each aged 12 years or more make up this satisfyingly complex blend. Decade after decade Black Label wins awards and accolades. Experts consistently appreciate its understated classic qualities.